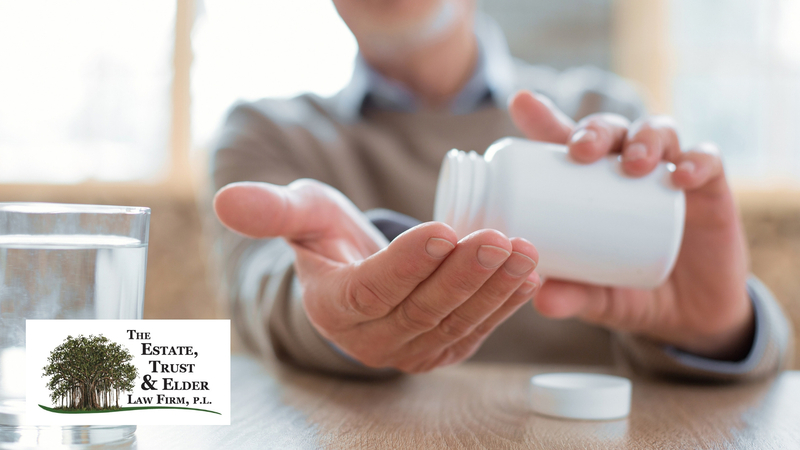 Certain Prescription Drugs May Be Shown to Increase Risks of Dementia | The Estate, Trust & Elder Law Firm P.L. Multiple studies in recent years have revealed a disconcerting connection between certain common prescription drugs and dementia. While there’s still much research to be done, and the studies stop short of saying that the drugs in question cause dementia, the findings are nevertheless quite serious. In fact, according to the results of scientific studies published in internationally respected peer-reviewed medical journals, like BMJ (formerly the British Medical Journal) and JAMA Neurology, a category of drugs known as “anticholinergics” have been linked to elevated risks of dementia and Alzheimer’s disease in aging adults. In one study, seniors who used anticholinergic drugs over periods as short as three months were found to have elevated risks of dementia ranging from 11-34 percent. The variances mainly depended on which drugs they were taking, how long they were taking them, and in what dosage. Alzheimer’s is a type of dementia, which is a general term for memory loss and cognitive deterioration. Alzheimer’s consists of nearly 80 percent of all known cases of dementia, and is the sixth leading cause of death in the United States. Sadly, there is currently no known cure, and Alzheimer’s patients live an average of four to eight years after first being diagnosed with the disease. Dementia, in all its forms, is a brain disease. It is reported that anticholinergic drugs may affect the brain by suppressing a neurotransmitter chemical, called acetylcholine, which would normally deliver brain signals to muscles throughout the body. Anticholinergic drugs have proven successful in treating ailments ranging from depression, to incontinence, to Parkinson’s disease. In fact, they’ve been so successful that it’s now estimated that up to half of all elder adults in the United States are currently taking one or more of these medicines. The problem may lie in the fact that acetylcholine is involved in memory and learning. It’s long been observed in the scientific research community that people with Alzheimer’s Disease have lower than normal levels of acetylcholine. Previous research also suggests that anticholinergic drugs contribute to brain inflammation, which is another potential contributing factor to dementia. Another recent discovery shows that patients using anticholinergic drugs have less brain volume and larger ventricles, or cavities inside the brain. Taken together, all these findings may be consistent in measurably showing that anticholinergic drugs are tied to diminished short-term memory, verbal reasoning, planning and problem solving, which can all be overlapping symptoms of dementia. We know this article may raise more questions than it solves. When it comes to elder law planning you can never start planning early enough. We encourage you to ask us your questions. You may schedule a meeting with our office at any time.